In many cases, communities in Northern Ontario can be isolated from a variety of goods and services we tend to take for granted, including medical specialists. 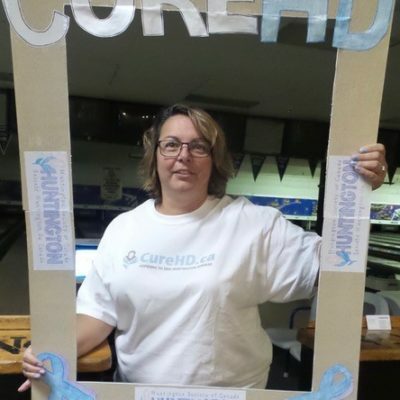 Lynn Walker from Timmins, Ontario knows this all too well from her experience as a child when her father had been diagnosed with HD. At the time, no one around her was ‘like their family’. Now as a wife and mother, Lynn is determined to change this as her siblings start to battle the disease themselves. Having HD in her family, Lynn had always followed HSC news and social media channels, so she knew what May Awareness Month was. Last year, Lynn decided it was time for the Timmins community to participate and know what the disease is all about. 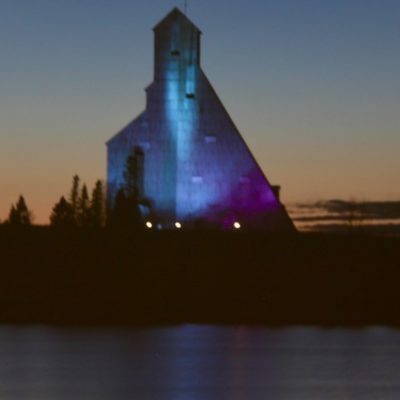 Lynn also thought to approach the City in regards to lighting up the McIntyre Headframe, a monument in Timmins that represents the mining history in the area. She requested that they light the monument in blue and purple for HD awareness as part of #LightItUp4HD – and they agreed! Lynn is seeing the benefits of May Awareness in her community already. And while she enjoys raising this awareness and participating in these activities, Lynn’s hope is that one day soon, we will no longer need May Awareness Month. Click here to see all of the sites participating in #LightItUp4HD this year! Click here to see all of the flag raisings scheduled this year. 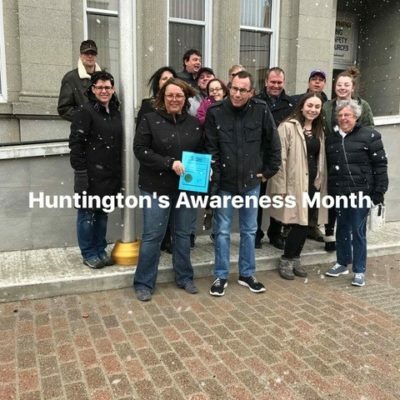 Click here to see everything we’re doing to celebrate Huntington disease Awareness Month.